It’s true, we’d likely spend all day with our perfect pooches if we could. But alas, work and responsibilities and the world itself call. We can’t be with our dogs all the time, and we need to have a plan in mind for where our pups can go when the answer is, sadly, not with us. We want our dogs and cats to be happy (or as happy as possible) when they’re away from us, which is why investing in pet boarding is one of the best options out there. Royal Pets Market & Resort is the best place for your pet, whether looking for pet grooming, a veterinary clinic, dog boarding, and so much more. 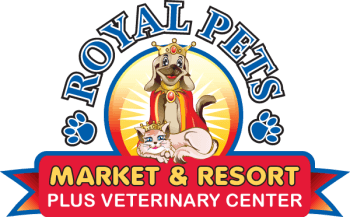 With Royal Pets Market & Resort, you can rest assured that your pet won’t simply be taken care of, but will be treated like royalty. Find out why dog boarding is going to be beneficial for both you and your animal, and stop by our St. Petersburg, Palm Harbor, or Carrollwood locations today! You have an upcoming trip. Cats are the kind of pet where if you’re gone for a night (or even two), they will be fine on their own, provided they have enough food, water, etc. Dogs are a different story. They need someone to let them outside, they need to be taken on walks, and ultimately, dogs need someone to help facilitate the amount of activity they require. If you’re going to be gone for a trip, whether it’s one night or five, boarding your dog is a way to ensure they get the attention they need. While many people opt for having a friend or family member watch their dog, this is less desirable than boarding your dog. Often, caretakers might come by once or twice a day to check on your pooch, take them for a walk or let them outside. With dog boarding, there is so much more opportunity for them to be active, as well as interact with other people and pets. 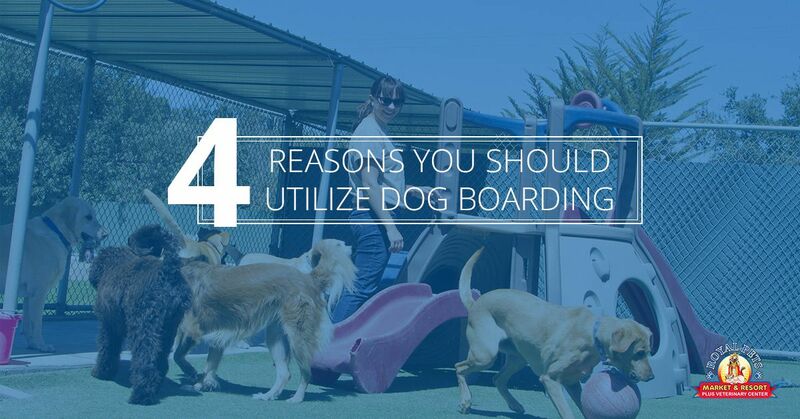 Having a dog boarded means you know they’re in professional care, and frankly, they’re probably having the time of their lives while you’re hopefully having the time of yours as well. Instead of being let outside twice a day, your dog can stay at a deluxe resort, with grass dog parks, spacious suites, and even private yard space available. If you’re going on vacation, it’s kind of great to know that your dog can too. You run into an emergency. This situation is far from ideal, but undoubtedly still takes place. If you or a family member suddenly has to go to the hospital, boarding your dog is a much better and more reliable alternative. If something happens to your home and you’re trying to get new housing established, dog boarding is a great way to temporarily lighten your responsibilities as a pet owner while figuring things out. No matter what the emergency is, we can try our best to be prepared and deal with the situation as we go. One of the best ways to plan ahead and in case of an emergency is to have a plan in place for your dog. If the go-to solution is boarding your dog, this will eliminate so much of the caretaker finagling that would otherwise arise in the moment. When dealing with a crisis, the last thing you want is having to try finding someone to watch the dog. Bring them by Royal Pets Market & Resort for dog boarding instead, and then you’ll at least not have to worry about your pup on top of anything else going on. Your housing situation is changing. Even if it’s not an emergency, a change in housing makes for a great time to opt for dog boarding. Moving and/or home renovations can be stressful times as it is, with lots of things out of place and/or exposed. Having an active golden retriever or a brand new puppy running around is a best case scenario, less ideal situations involve trampling or chewing through materials. Save yourself the trouble, and simply take your dog to our pet resort instead. Board your dog for a day or two, and allow yourself the time and space to focus on the move, the most intense days of the housing renovation, or whatever else the case might be. You have company arriving who are sensitive to dogs. This is kind of a no-brainer. Your dog is of course man’s best friend, but the people in your life need to be accommodated for as well. If your best friend from high school is able to come visit and is allergic to dogs, would you tell them not to come? We’re hoping not! Board your pooch and enjoy the time with your friend! Your dog will still be there afterwards, and probably all the more relaxed and refreshed from time spent at our resort. Some people have very real fears of dogs, which is another reason to consider your guests needs when they’re coming into town. Hospitality and bonding with your loved ones should not be sacrificed simply because they’re sensitive to dogs—put Buster into boarding instead. Pet boarding might seem like a big deal, and it might seem expensive, but with Royal Pets Market & Resort, it’s one of the most realistic and affordable options out there. Our dog boarding services use the term “resort” for a reason, and room rates start at just $29! Take care of your dog in the best of ways by letting us take care of them for you. From pet grooming, veterinary clinics, pet stores, and so much more, Royal Pets Market & Resort is the way to go. Call us to schedule dog boarding today, or stop by one of our locations!